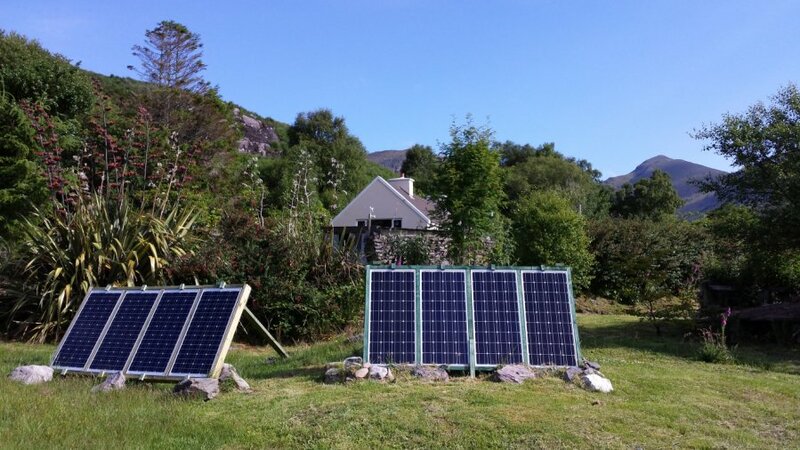 Our mountian home is located some 5 miles to the north of the village of Sneem, County Kerry. We are about 500ft above sea level on the lower slopes of a spectacular mountain, Finnararagh. A sunny day in 2014 after the terrible storms at the start of the year. All the land, with the exception of the vegetable garden was completely overgrown, much if it has now been cleared, although ironically the vegtable garden is now overgrown.